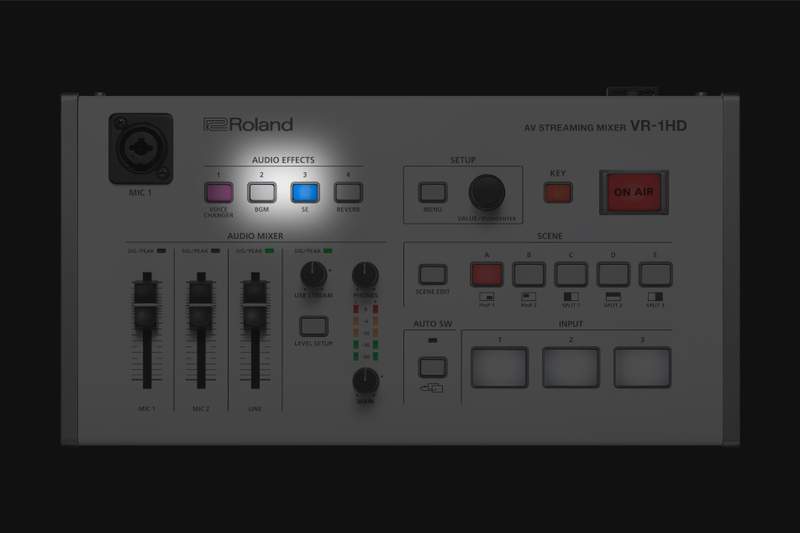 Be the talent as well as the director and take your live streaming to the next level with Roland’s VR-1HD. Featuring 3 HDMI inputs, built in audio & video effects and easy to use switching make the VR-1HD your new ‘go to’ mixer. 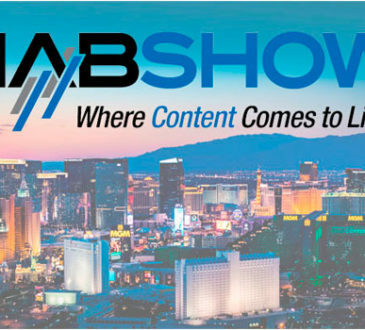 When it comes to online videos, live streaming completely outperforms uploaded videos with larger audience size and increased audience engagement. 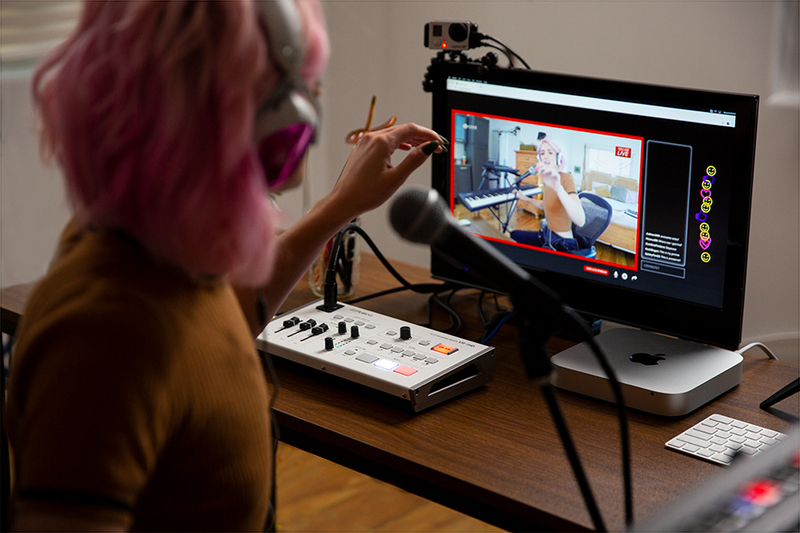 Roland’s VR-1HD is ideal for live production, allowing you; the creator, gamer, commentator or presenter, to broadcast dynamic multi-camera live streams whether it be a Podcast, Gaming or Performance. With amazing picture and sound quality the VR-1HD elevates your live production and totally outshines the ‘standard’ live streams from a mobile phone or static webcam, and best of all the VR-1HD is designed for live broadcasting, its dedicated controls and top-mounted mic input (with gooseneck mic) let you go hands-free and headset-free while live streaming. 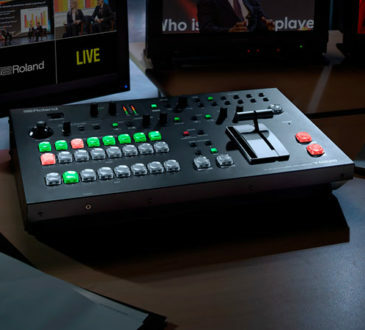 Use the VR-HD1 to connect, switch and stream different sources including cameras, presentations, gameplay and even smartphones and tablets. With three HDMI inputs; with each one accepting a variety of HD and computer-based video resolutions, this couldn’t be simpler. 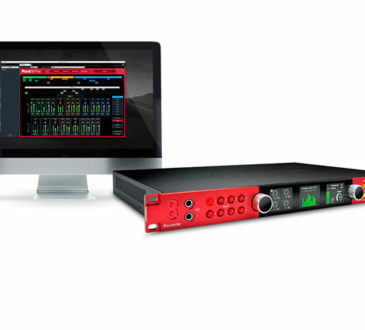 The audio from these sources can also be blended with the two studio-quality XLR microphone inputs and dedicated line input. 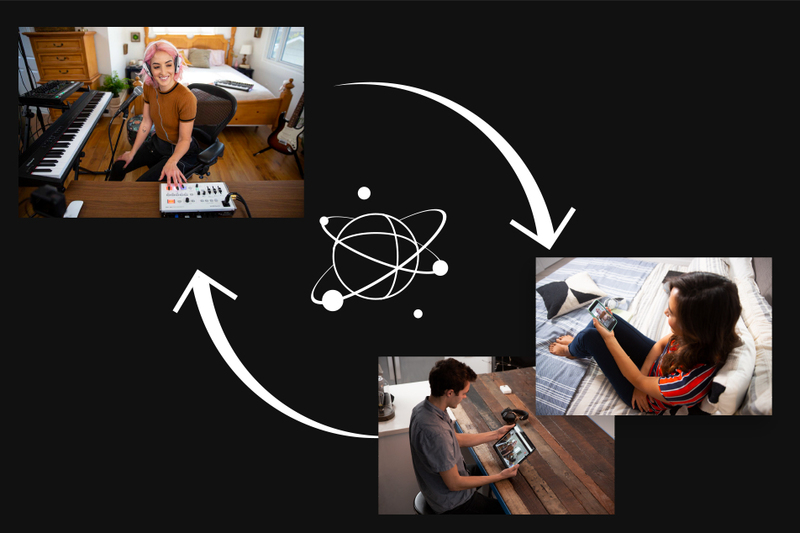 Make your live stream more interesting by using the built in Scene Switching function to instantly jump between scenes that contain preset arrangements of layered sources, displayed within customizable inset windows. Have these set up in advance and recall via the five scene preset buttons. 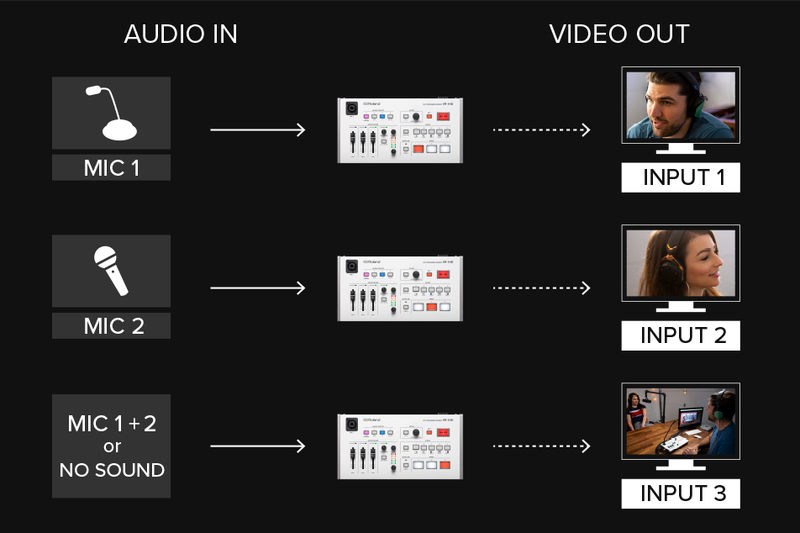 Video Follows Audio – The VR-1HD switches cameras based on who’s speaking into their microphone. If both people talk at once, or if no one is speaking, the VR-1HD can switch to a wide shot showing both presenters. 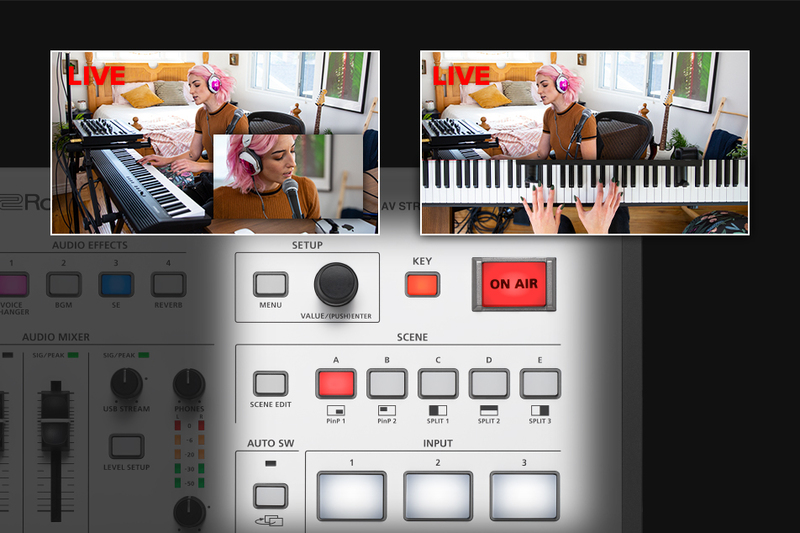 Beat Sync Switching – Start playing music and the VR-1HD will switch to different camera inputs based on your playing tempo or the music in your DJ performance – letting you act as your own VJ. 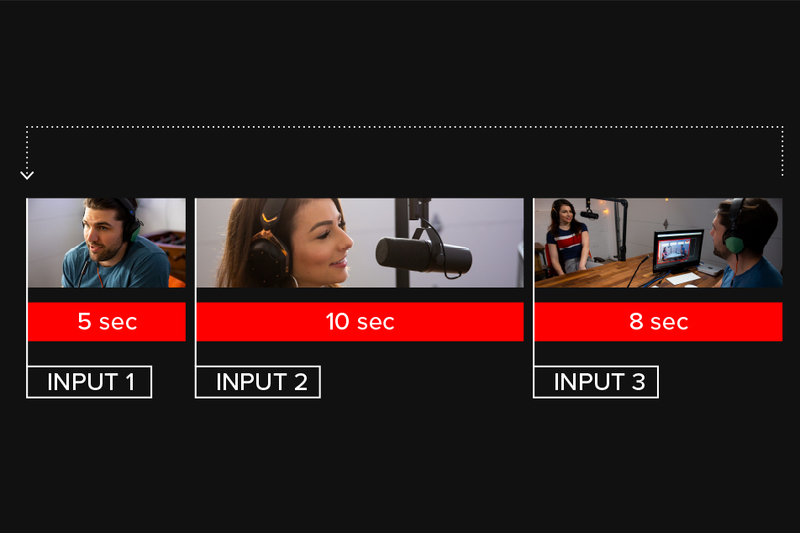 Auto Scan– For extended live streams with no operator, set the VR-1HD to switch between sources in a pre-defined order, or randomly, at your chosen rate of time. 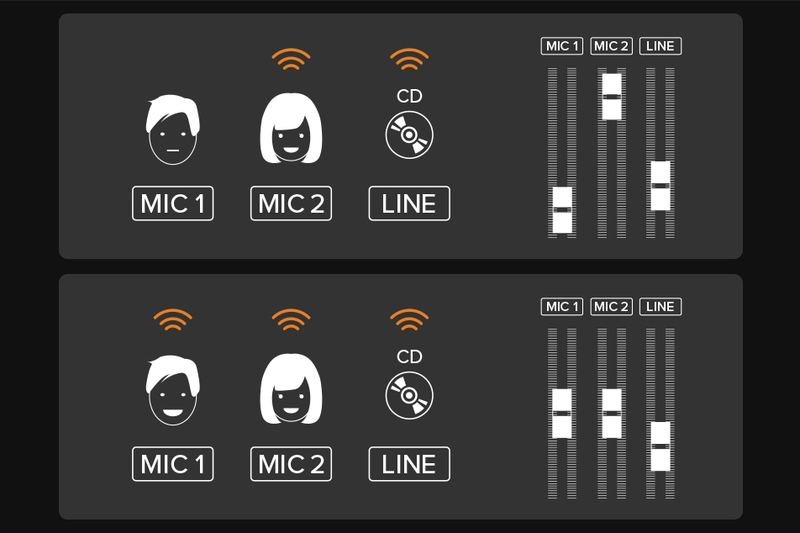 Forget the addition of a costly sound engineer; with the VR-1HD’s Auto Mixing function you can relax knowing that different audio inputs aren’t competing, the sound is balanced, and can automatically ensure that while the host is talking all other mic levels are reduced. 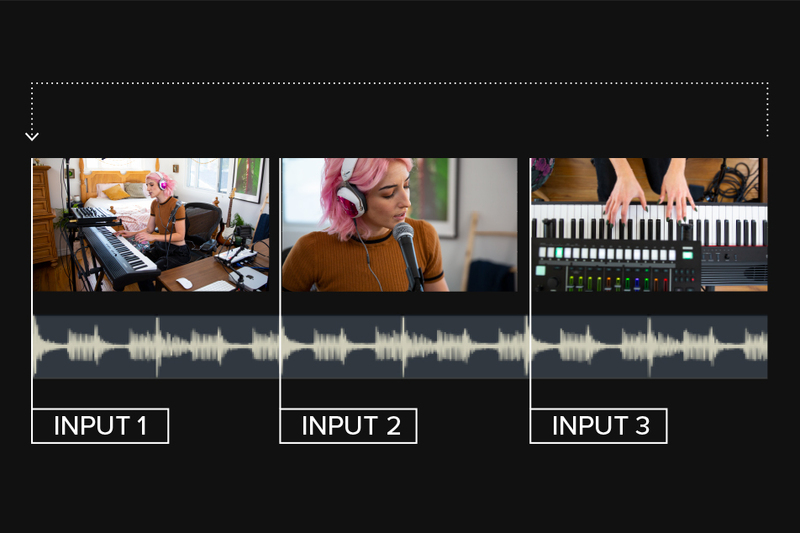 Audio from your input sources can automatically change when you switch video sources, by engaging the Audio Follows Video function. Sound your best with the VR-1HD using “equalizers” to balance the highs and lows of the audio, “gates” to keep open mics quiet unless someone is speaking and “compressors” to balance out changes in volume when speaking or singing. 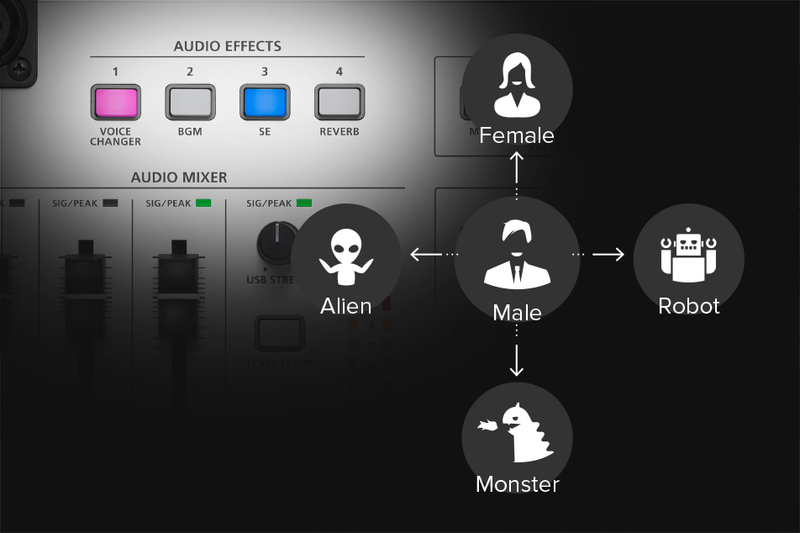 Using the VR-1HD’s Voice Changer effect, sound like someone or something else; a male can sound like a female and vice versa or sound like a robot, monster or alien and what’s more each mic can have a different affect applied. The VR-1HD lets you add your own custom sound effects via USB memory, including jingles or even a theme song, then trigger them instantly via the four Audio Effects buttons on the VR-1HD’s top panel. 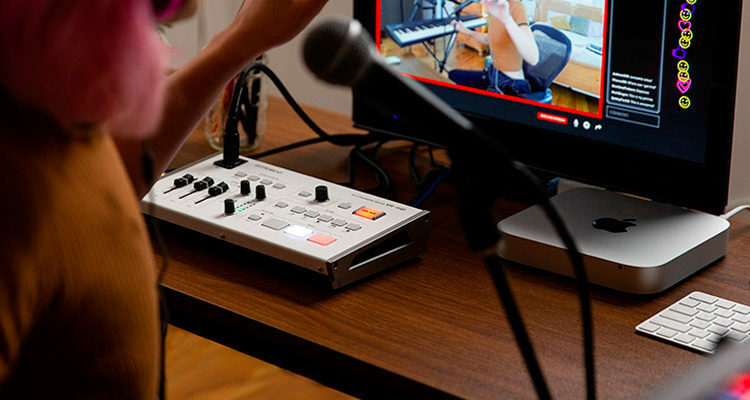 The VR-1HD uses the same connection technology as webcams, so just hook up to your computer via USB 3.0 and fire up the live casting or recording software. Then jump straight into a professionally produced, Full HD broadcast on your favourite platform, including YouTube or Facebook Live. 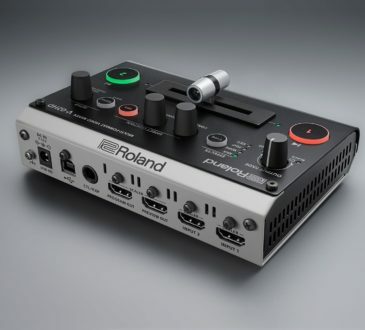 We have the entire Roland range available on our website. ESV offer next working day delivery* FREE over £249! If you require further information or assistance you can do so, either through our ‘chat’ function, email: info@eastwoodsoundandvision.com or by phone: 0203 137 2901; we’re always here and happy to help.